The 12.9-inch iPad Pro could boast enhanced touch sensitivity while also incurring fewer production costs for Apple, according to a new report coming from the supply chain — suggesting that Apple is rethinking the material used for its tablet touch panel. To achieve this, Apple apparently plans to ditch the ITO-based clear film used on present generation iPads for a more flexible AgNW silver nano wire coating. This latter material allows for more fine-grain reception of different pressure levels. If this rumor is correct, AgNW would fit nicely alongside Apple’s Force Touch technology, which the company has been incorporating into more and more of its new devices. Another benefit of AgNW silver nano wire coating is that it is cheaper to manufacture since it doesn’t require certain rare materials such as indium, although Apple is reportedly considering using a sturdier sapphire glass panel for the pro-level device — thereby nullifying any money saved. While all of this sounds great, however, the report does cast one bit of negativity. Apparently the iPad Pro is set to arrive “next year” which places its release at 2016 instead of later this year as many had hoped. At least it’s sounding more and more like it’ll be worth waiting for! This entry was posted in iRumors and tagged ipad pro, irumors, iRumorsnow. Bookmark the permalink. 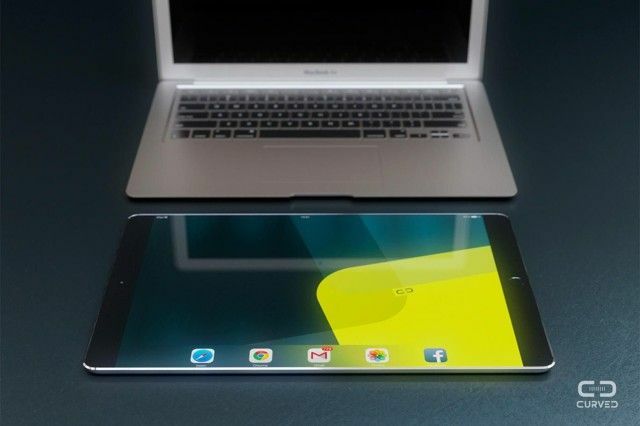 12.9-Inch ‘iPad Pro’ Could Have Flexible Touch Panel With Increased Sensitivity.